We will be closed on Satuday, July 3rd! 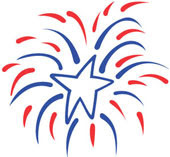 To celebrate the July 4th holiday, which falls on a Sunday, the library will be closed on Saturday, July 3rd. Enjoy the celebrations and have a happy and safe holiday weekend!